It’s time for some football, and the sales that go with it. 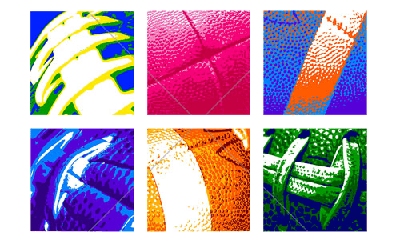 Here are the many different ways you can generate custom apparel sales by approaching football teams. 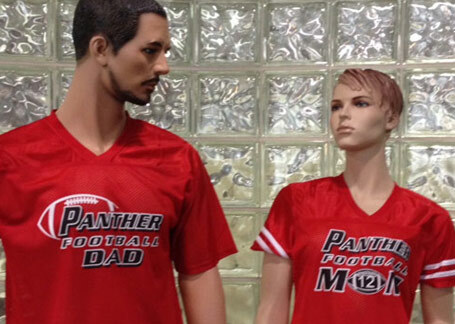 Watch our video to see an overview of the football apparel you can print. 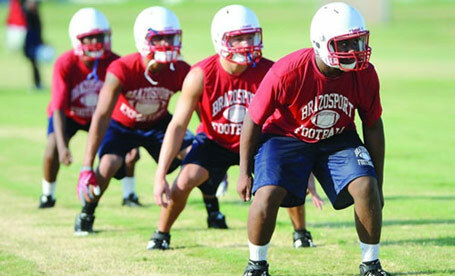 All levels of football have conditioning before they put on the pads. Football players will need a t-shirt and shorts. You can print both of these items on one sheet to save money and give your players the ultimate personalization. Often practice jerseys are a mesh to keep teams cool when they start practice in the heat of summer. Mesh practice jerseys are easy to print, just pay attention to the material label. 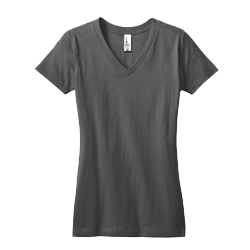 Most will be polyester and you can use our easy to apply Goof Proof® transfers for a front and add a name and number to the back. When applying to mesh jerseys the ink will only adhere to the material and the holes will “punch” out. You can use one of two technique to print on mesh. The first is to use our cover sheet and slide between the front and back side so that the holes will adhere to the paper. You can use the same sheet for several shirts, just wipe down and insert in the next shirt. Or the best method to heat print mesh jerseys is to use the threading process and “dress” your bottom platen with the shirt so you only have one layer of the shirt on the press. Be sure to use a quick slip pad protector on the bottom platen of the heat press. After you press the front, wipe down the platen cover where the holes came through between applications. 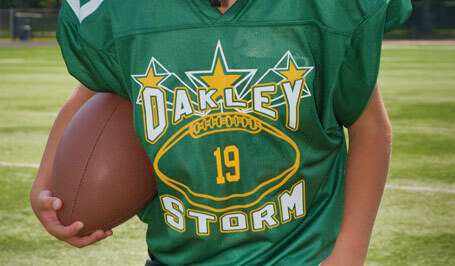 Game jerseys usually need a number on the front and back as well as a word mark identifying the team name. Word marks can be printed on a gang sheet with multiple prints on the same sheet to reduce printing cost. 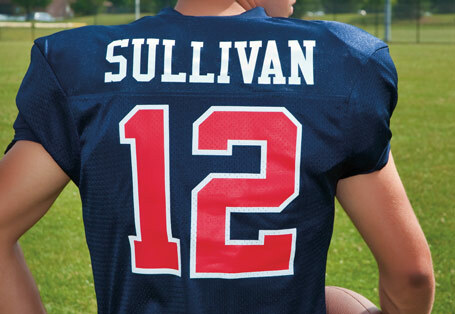 For adult size uniforms we recommend an 8” number on the front and 10” on the back. For the shoulder or “TV” numbers, we recommend 4”. 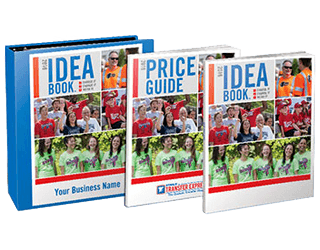 Football Spirit Wear is where you can generate the most profits. Mom and Dad want to wear custom printed apparel identifying with the team, players and fans also want to be recognized. We have hundreds of football layouts. Want to add a little bling? We also have a Mom rhinestone transfer that can be added to your print. 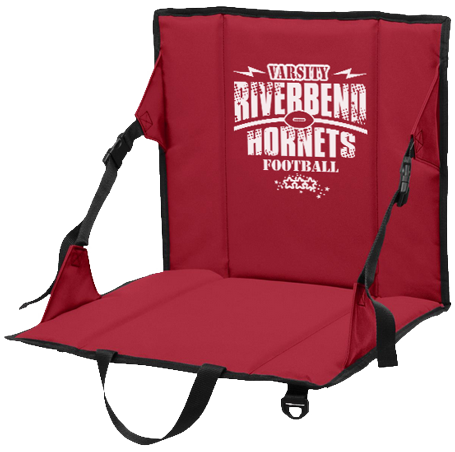 Don’t forget coach’s shirts, caps, cinch sacks and bags to carry gear and even bleacher seats as items you can heat print and generate add on sales.